Monday, April 28 – In following through on its mandate to provide superior quality seaport facilities and services, the BVI Ports Authority (BVIPA) is steadily implementing new procedures for ferry and tour operators. Some of those changes include allowing operators to pre-purchase departure tax tickets when chartering large groups, mandating permission to use seaport facilities for charters outside the ferry master schedule and also when transporting large groups. Also, the Authority is working with ferry operators in getting passengers to board the vessels sooner, so as to ensure vessels adhere to scheduled arrival/departure times. Regarding the pre-purchase of departure tax tickets, Mr. Henley said he encourages companies to take advantage of the opportunity to improve their customers’ experience. Ferry and tour operators who wish to pre-purchase departure tax tickets can contact Mrs. Velma Chung at the Authority. For those tour operators that are chartered to make special trips outside of the operators’ regular schedules, the Authority requires that 24 hours notice be given in advance of chartered trips where possible. The deputy managing director explained that once the Authority has granted permission to the charters or ferries, those vessels will only be permitted to transport passengers specific to that charter. Specifically addressing the issue of getting passengers to board vessels sooner, Mr. Henley said, “The Authority has met with the ferry operators who have agreed to not book any tickets after the ferry’s scheduled departure time.” “We know that this has happened to accommodate passengers who arrive late. However, this has amounted to a serious situation at our seaports where vessels rarely depart on time. Hence, the Authority will implement procedures to assist ferry operators in this regard,” he said. 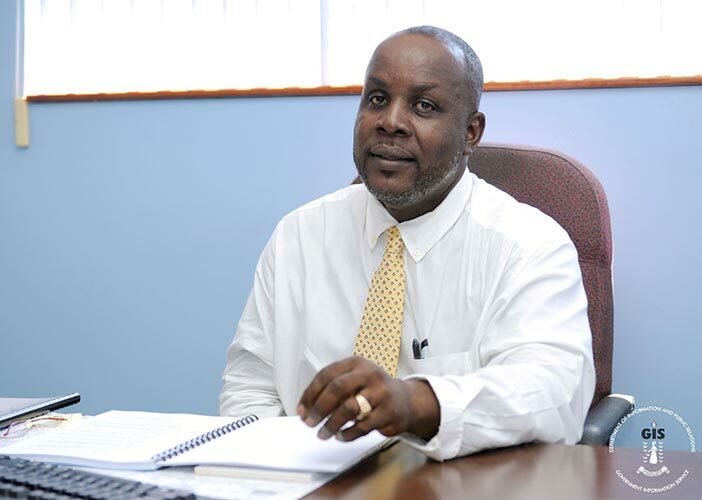 Mr. Henley explained that effective May 5, 2014, the Authority will discontinue departure tax sales and close the security check point at each ferry’s scheduled departure time. “We know the public will have to adjust to this new way of travel, but it is the only way to go to ensure ferries depart and arrive on time. The Authority encourages the public to arrive at the seaports at least one hour prior to your scheduled trip to ensure you are able to book with the ferries, pay departure tax and pass through security in time for the ferry’s scheduled departure.” The BVI Ports Authority’s mission is to provide superior quality seaport facilities and services, in an environment characterised by employee growth and development, cutting edge technology and teamwork for the betterment of the BVI.